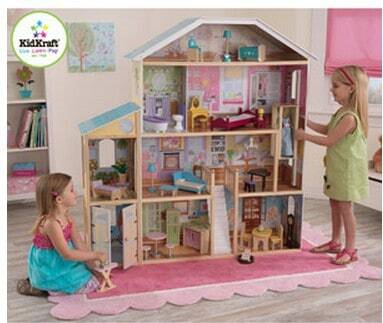 Save Over $100 off KidKraft Majestic Mansion Dollhouse with Furniture, Free Shipping! If you have a child with a birthday coming up, or you are thinking ahead to Chrismas, check out this deal! The KidKraft Majestic Mansion Dollhouse with Furniture is on sale for $148.00 at Walmart.com right now. That is over $100 off Amazon's price of $264! If a dollhouse is on your shopping list this year, be sure to check out this deal!